Uranus’ distance from the Sun is 2.88 billion km. The exact number is 2,876,679,082 km. Want that number in miles? Uranus’ distance from the Sun is 1.79 billion miles. This number is just an average, though. Uranus follows an elliptical orbit around the Sun. At its closest point, called perihelion, Uranus gets to within 2.75 billion km of the Sun. And then at its most distant point, called aphelion, Uranus gets to within 3 billion km from the Sun. Astronomers use another term called “astronomical units” to measure distance within the Solar System. 1 astronomical unit, or AU, is the average distance from the Earth to the Sun – about 150 million km. So in astronomical units, Uranus is an average distance of 19.2 AU. Its perihelion is 18.4 AU, and its aphelion is 20.1 AU. We have written many articles about Uranus for Universe Today. Here’s an article about how many rings Uranus has, and here are some interesting facts about Uranus. 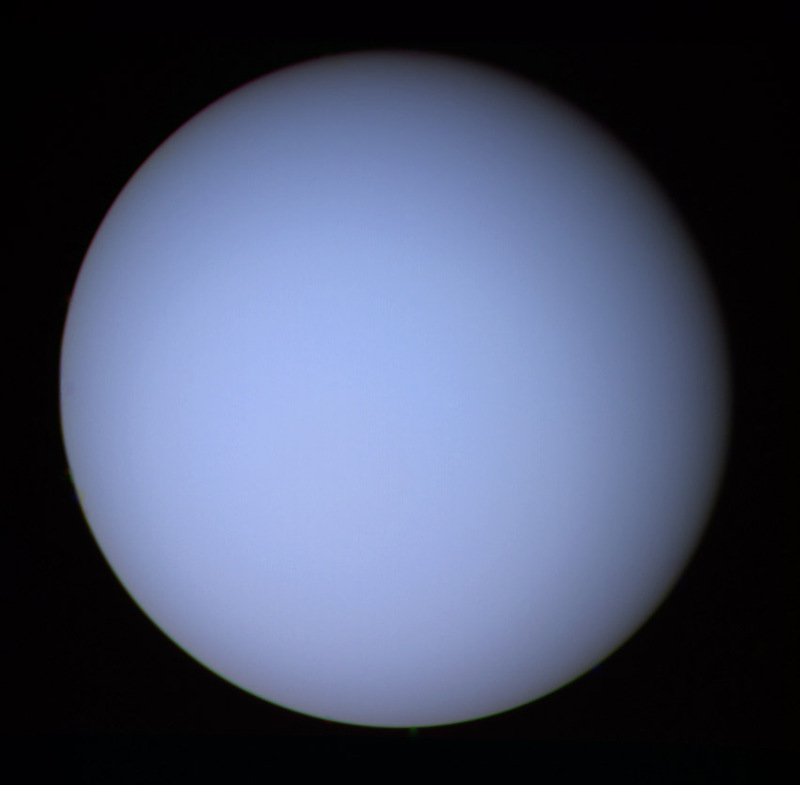 We’ve also recorded an entire episode of Astronomy Cast all about Uranus. Listen here, Episode 62: Uranus. Previous PostPrevious How Far is Saturn from the Sun?